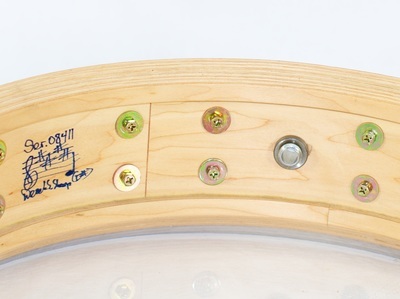 Reinforcement Rings…ah, a classic feature for any drum! Adding to your sound palette is the choice of adding Re-Rings to your drums or leaving them straight-walled. 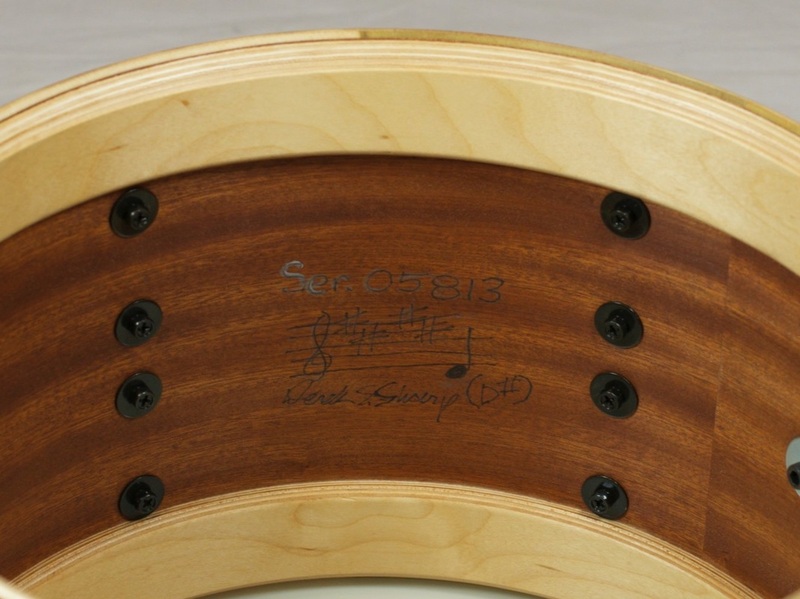 In days of old (and on one-ply solid drums), toms, basses and snares were nearly always banded with an extra thickness of wood on their interiors just under the bearing edges. 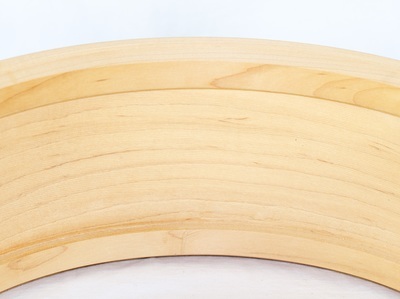 These bands were usually solid maple or oak about a quarter of an inch thick and either side of an inch tall. These structures were necessary to “reinforce” the wooden shells to help them keep their shape. Over time, changes in manufacturing techniques, improvements in glues used in drumshell construction, and wood species choices made re-rings unnecessary as the shells were able to hold their shape. Something cool about Re-Rings is that they affect the drum’s sound. Adding Re-Rings to a drum raises its pitch and dries out the sound a bit—decreasing its sustain. Great with thin shells, Re-Rings can work with the warmth of a low, sustaining shell by adding a crispy edge that keeps the drum from sounding too muddy. Use on thicker shells to cut through a wall of full stacks. On plied shells, TreeHouse uses plied maple as Re-Ring material. 6- 8- or 10-ply rings from 7/8” tall to 1½” tall are the specs from which you can choose. 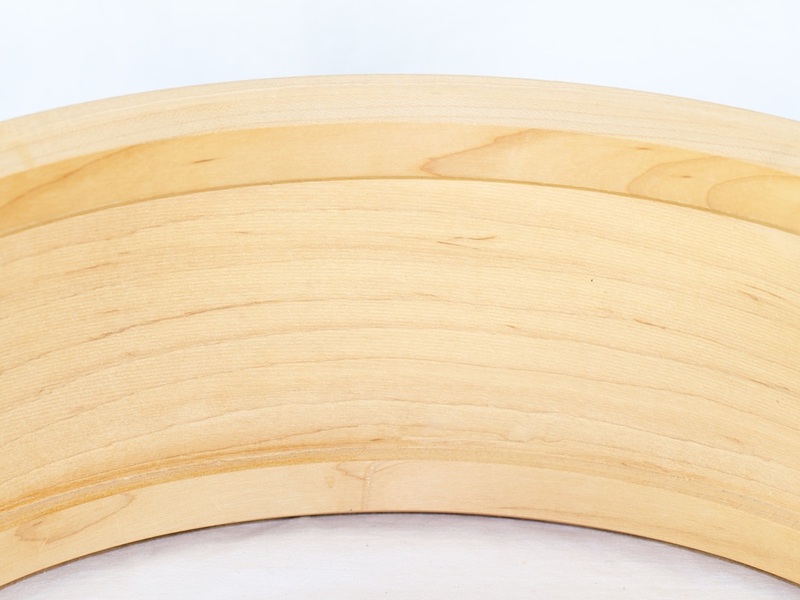 One-ply solid shells come with solid Re-Rings of Maple, Oak, or the same species as the shell.